Added by Deborah Baber-Savalla on October 6, 2018. 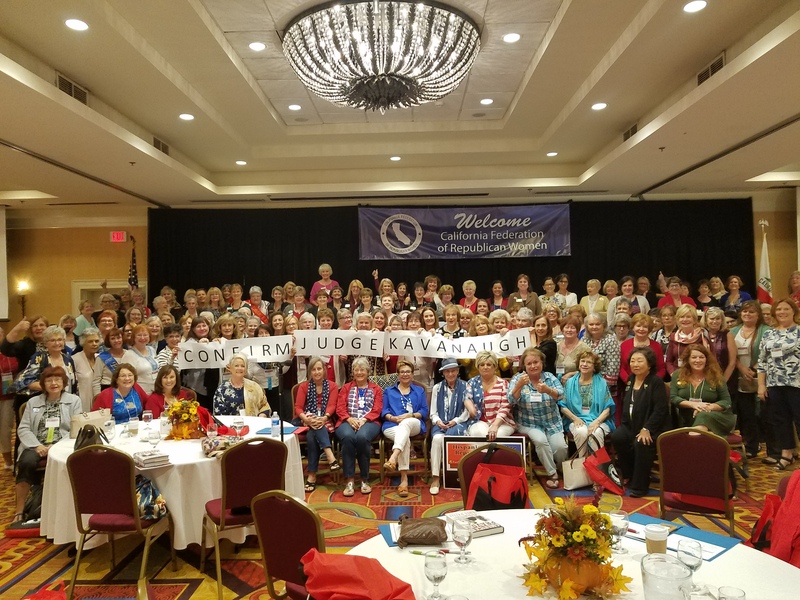 The conference began Friday morning with an Executive Committee CFRW meeting.Afternoon workshops included Leadership & Membership Promotion followed by a presentation by EIPCa, Election Integrity Project, California. During the first workshop, members were encouraged to share ideas for promoting membership and to talk about initiatives undertaken. A key theme among the ideas and initiatives was visibility! One club, the East Valley RWF, has set the goal, “…to become the largest Republican Women Federated in the State of California”. 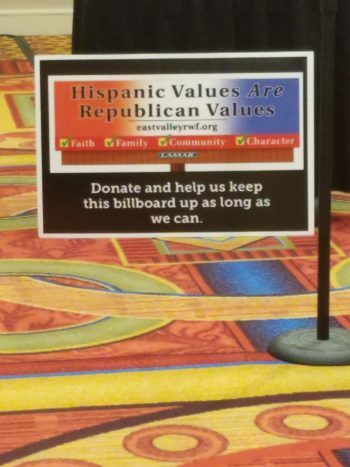 Their outreach includes a new program with the Galilee Center supporting families and individuals employed as farm workers and establishing a storefront office and a billboard and poster campaign announcing, “Hispanic Values ARE Republican Values”. The message is resonating with the community! EIPCa, Election Integrity Project California co-founders Linda Paine and Ruth Weiss presented recent findings uncovered during the June primary. CFRW members and the public alike are encouraged to train with EIPCa and to become active citizens in “Keeping Our Republic!” Become an EIPCa trained poll observer. For more information about how you can become involved in Ventura County please call or text 805-236-6626. EIPCa training is FUN, INFORMATIVE, …and ESSENTIAL to KEEPING OUR REPUBLIC! Local ROTC high schoolers served as color guards, ever impressive in their uniforms and respectful demeanor to our flag and our nation. 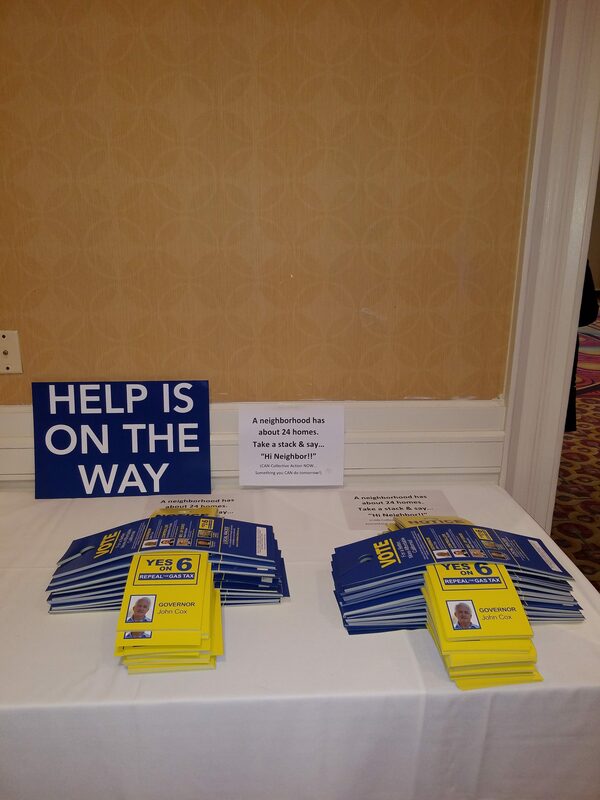 The luncheon keynote address was given by John Sullivan who talked about the upcoming release of a documentary film on Kermit Gosnell, also known as the most prolific abortion doctor in our nation’s history. The film is billed as the story of America’s biggest serial killer, and rightly so. Waiving his right to appeal in 2013, Kermit Gosnell was sentenced to life in prison without parole instead of receiving the death penalty. Synopsis: The film is the shocking true story of the investigation and trial of Dr. Kermit Gosnell – his 30-year killing spree and the political and media establishment that tried to cover it up. Originally investigated for illegal prescription drug sales, a raid by DEA, FBI, & local law enforcement revealed crimes they could not have expected within the clinic! Based on the NY Times Bestseller — Gosnell: The Untold Story of America’s Most Prolific Serial Killer. Carl DeMaio also gave an update on the YES ON 6 campaign, repealing the gas tax, and a rousing call for all of us to get involved. Of profound importance is Carl’s cautionary note about how the final ballot title was misleadingly changed from “REPEAL THE GAS TAX” to: “Eliminates Certain Road Repair and Transportation Funding.” You be the judge of how informative THAT headline statement is! Vote YES ON 6! Attendees were also treated to remarks from Greg Conlon, Republican candidate for State Treasurer, and to a dynamic, inspiring, energetic speech from John Cox: Help is on the way! 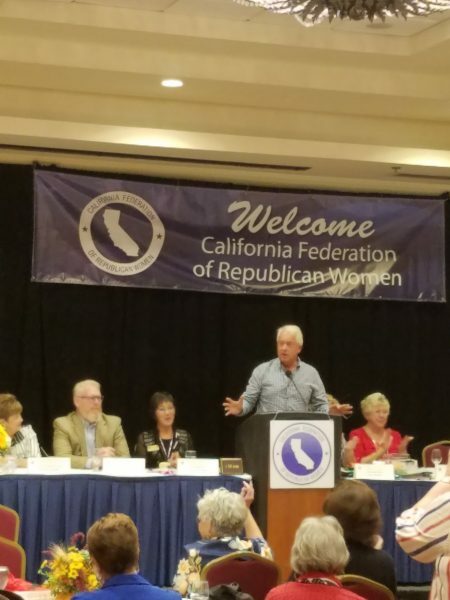 John Cox was on fire… funny, informative, and fierce! 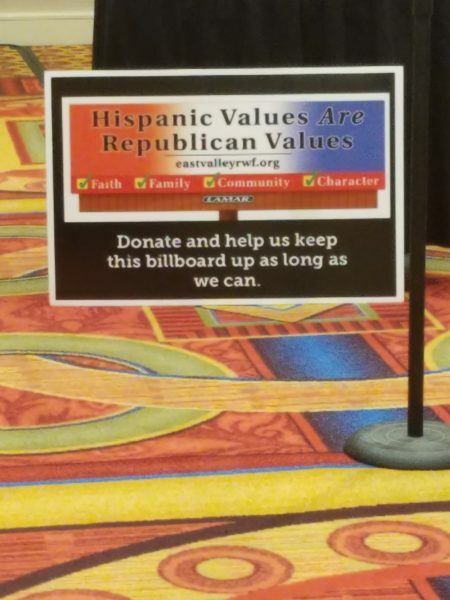 Before the afternoon break and street rally supporting Republican candidates and causes, our fellow members assembled to go on the record with the message…. The evening’s festivities began at 6:30 followed at 7:30 with keynote speaker Ben Bergquam, Co-founder of the Fight Sanctuary State Initiative and host of Frontline America. He described how his activism began emphasizing the need and responsibility we have to get involved at any level we can, whether it is from home making calls on behalf of candidates, doing research for a club’s projects/initiatives, or contacting elected officials, to participating in precinct walking for candidates to rallies on the streets. Ben’s overarching theme was hopeful and one that was repeated by every speaker: We are at a historic moment in our nation’s and our state’s history. The “pendulum” is swinging back. Now is the time to aggressively proclaim our Republican values out loud and to do so again and again and again! Like-hearted people must be able to find us as we unite in restoring the primacy of our Constitution and the Judeo-Christian ethic upon which our nation was founded. Join in! Do your part to… #Make it happen! For information on joining a local Republican Women’s Federated Club in your area please visit the California Federation of Republican Women. Deborah Baber Savalla is a member of the Channel Islands Republican Women Federated: I am a former New York City book publishing executive with over 20 years of experience. I believe in moral clarity because it leads naturally to personal responsibility which WILL RESULT in small governments. I am privileged to work for Citizens Journal. I write columns and editorials for the Journal as a private citizen. I strive to be scrupulous when identifying my work as a private citizen versus that of a reporter or Journal contributor. The views expressed as a private individual are mine alone and are not necessarily that of Citizens Journal.